Nuketown Zombies, the Season Pass bonus map, is available now for PS3/PC customers. It was scheduled to launch on Thurs. (Jan 17th) for PS3, but due to PlayStation Maintenance you couldn’t download it. Now, the maintenance is complete, and you can download this map via the in-game store. PC Season Pass owners should have been able to download Nuketown Zombies since Thursday, Jan 17th. 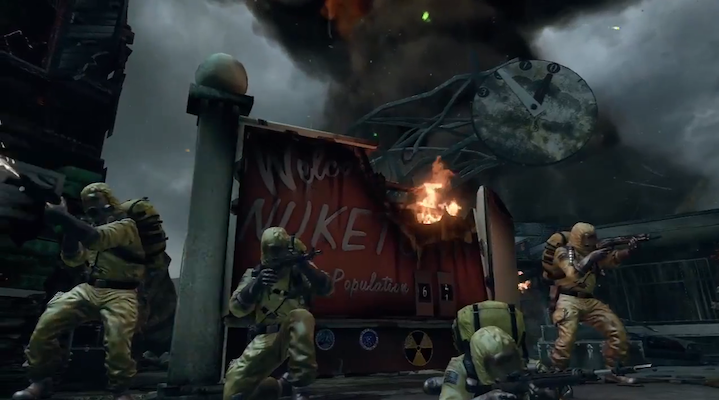 Nuketown #Zombies has arrived on PS3/PC for #BlackOps2 DLC Season Pass holders! How many rounds will you survive today? Don’t have the Season Pass yet? Buy now and get the four epic Black Ops II DLC maps, an exclusive in-game calling card, and Nuketown Zombies for just $49.99. Info here.